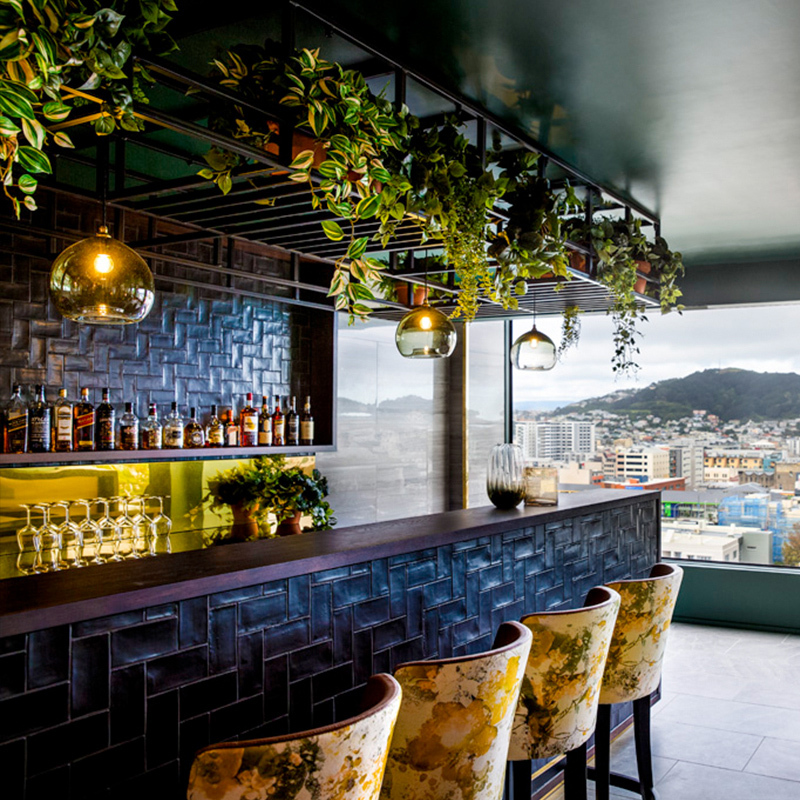 FORAGE Kitchen + Bar, overlooks the vibrant district of Te Aro that harbours some of Wellington’s finest cuisine and artisan produce. FORAGE Kitchen + Bar harvest elements from New Zealand’s unique terroir and bring stories back from the farm. The restaurant’s unique destination creates a lively impression with the focal point of the view overlooking the Cuban quarter. The open kitchen allows Forage’s culinary team to showcase the restaurants philosophy in the preparation of local produce; from root to stem, and nose to tail. Communal tables cater for social dining of shared dishes amongst friends or as Chefs tables where diners are taken on a culinary journey through a set or degustation menu. Our food was ok but not very well seasoned and a little bland. Our service staff were really friendly but forgot to bring back the wine list when asked for. Took a while to get to take our orders. The views were great and a really well decorated restaurant. Overall not bad but needs to pick up the game with so many amazing wellington restaurants. I surprised my husband for his birthday with dinner at Forage. The service we received was exceptional, including complementary bubbles and a visit from the chef to ensure everything was to our liking. The food was beautifully presented and delicious. A wonderful experience. Enjoyed the meal although disappointed that there were no green sides on the menu. No broccoli, beans or anything green apart from a Caesar salad. Food: wasn’t impressed with the mushroom entree seems like some cost cutting was happening as it was 1 mushroom sliced and each individual slither fried. More batter than mushroom. I love mushroom and would have liked more as it was the reason I ordered the dish. Felt like everyone was seated in the same small area rather than spread out through the restaurant when there were tons of tables free. Excellent Mojitos would go back for a few drinks but not dinner. Dinning environment is good. But service wasnt that good on the day. A blonde lady who served us was a bit pushy. When she was taking our main plates, she asked do we want a dessert. We told her what we wanna get and told her please place the order after 15 mins. But the dessert served on the table less than 10 mins. We had scallops for starters, which only had and 4 scallops on the plate and it was absolutely flavourless and underwhelming. 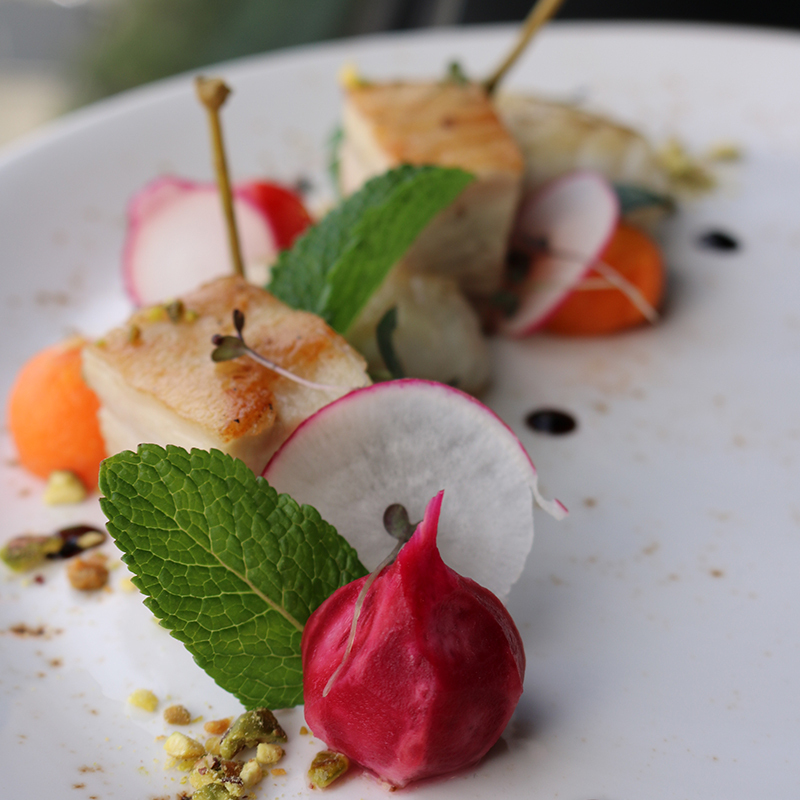 For $19 I would have expected more than 4 scallops (average to small in size) and for it to include something other than a thin slice of radish and some flavourless puréed white paste on the plate. We then had the pork belly (which is the ‘signature dish’). The crackling wasn’t crisp, it was chewy and soft and the quite fatty, and again the whole plate lacked any interesting flavours. Probably the most interesting thing on the plate was the Kumera Rosti! We had the chocolate tasting plate for dessert and the 4 chocolates on the plate were like something you would pull out of any box of chocolates, the crumbs strewen all over the plate tasted stale and the mango and (what maybe was) strawberry purée tasted like the ‘EZY-Yo’ yoghurt flavours you purchase from the supermarket in a bottle. The food was terrible! Especially for the price! I would never recommend anyone dine here. Great view, brilliant food and fabulous service. Very attentive staff, although a number of different people came by during the meal. The food came out quickly and was presented well, met expectations. More vegetarian options would have been nice. Value for money as we used the Entertainment Book, if paying full price the menu doesn't compete with alternative restaurants with similar pricing but expected for a hotel restaurant. My husband and I stayed at the Grande Mecure for our 48th Wedding Anniversary. And dinned at the Forage Kitchen and Bar. Two nights. The Meal, Service and atmosphere was lovely. We would recommend the Forage to friends if going to Wellington. Thank you to all Staff for a lovely time. The refurbished environment is amazing, the service was very effective and friendly and the breakfast buffet was varied and delicious. Great meal and service, lovely outlook.